Real friendship transcends all boundaries. Nowhere is this better evidenced than in the animal kingdom. Though it's true that instincts compel some animals to dislike others, and in many cases actively hunt them, there are numerous examples of animals that have enjoyed truly unlikely friendships - these range from dogs and raccoons, to bears and wolves. Yet no story of an animal bonding has hit me so hard as this one, which concerns a dog named Rookie and his family's big, brown cow. When dog Rookie became a part of his family, he quickly formed a strong bond with the humans who cared for him. And yet there was a creature who would own an even bigger piece of the dog's heart... the family cow. People couldn't believe what they were seeing when the unlikely duo became fast friends. 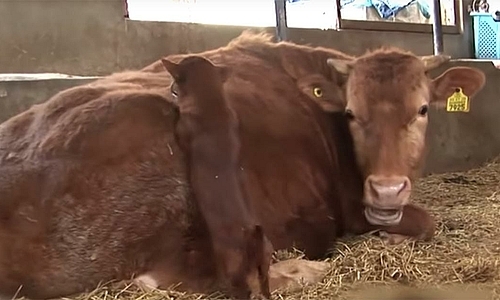 However, the cow became a mother figure to the young Rookie - she could often be witnessed licking his coat, cuddling down with him and letting him sleep lying against her back. 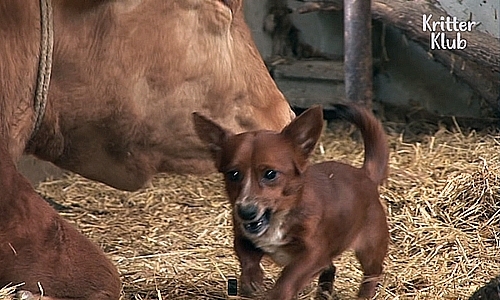 As a result, it was a bitter blow for Rookie when the day came for said cow to be sold from the farm. The owners had come to realize that though they might wish to, they simply couldn't afford to keep the cow. Anyone who's ever lost a dear friend can sympathize with Rookie, who was left devastated. Dogs, of course, have feelings just the same as humans, and the differences in their behavior when they feel down or distressed are there for all to see. Rookie's heartbreak was palpable. He barked and cried, he went looking repeatedly for his best friend. He even waited for hours on end in the barn, clutching the faint hope that his friend would return. 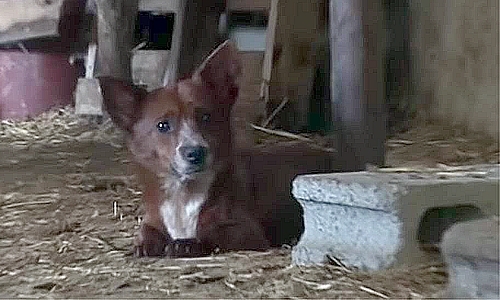 Rookie's owner, who had followed him from his own property, scolded Rookie and brought him back home. Yet again Rookie's mood went south - he felt the anxiety of being kept apart from the creature he had bonded with. Nothing could give Rookie joy. 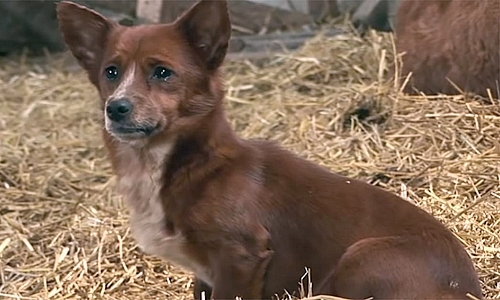 He simply lay in the barn with empty eyes, waiting, seemingly, for her to come back again. The worst part was that he knew where his best friend was, he just simply couldn't get to her. Fortunately, it didn't take long for his family to realize the hopelessness of the situation. It became apparent that if Rookie was prepared to go to such great lengths to see his friend, it wasn't right to keep the pair apart. They couldn't bear to see the family dog in such a down and out state. 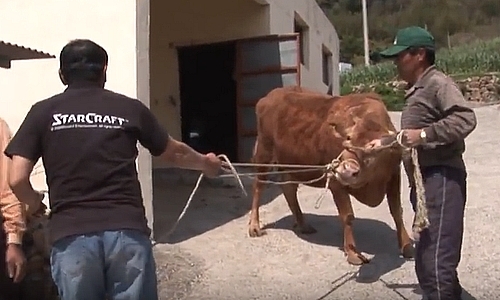 So, despite the difficulties it could have presented, they bought their old cow back. Not only did the family bring back the cow to keep Rookie company, but they also bought another dog so that he will always have a companion.